HISTORYTELLERS Scavenger Hunt Begins on Sunday! | The Indie Spot! Greetings to one and all. Just a short piece here in preparation of the HISTORYTELLERS Scavenger Hunt that is slated to begin on Sunday. And guess what? You’re all invited to play along. The hunt features twelve authors in the historical fiction genre (1910s, 1920s, 1930s) . These authors have joined together to offer a bundle of their books to a lucky reader—which just might be you! If you’re game, why not help us to spread the word? Now, to my fellow authors involved. We’re testing the circuit to make sure that everything will go smoothly on Sunday. Clues and the form to enter will be up only on Sunday. Not before and not after. 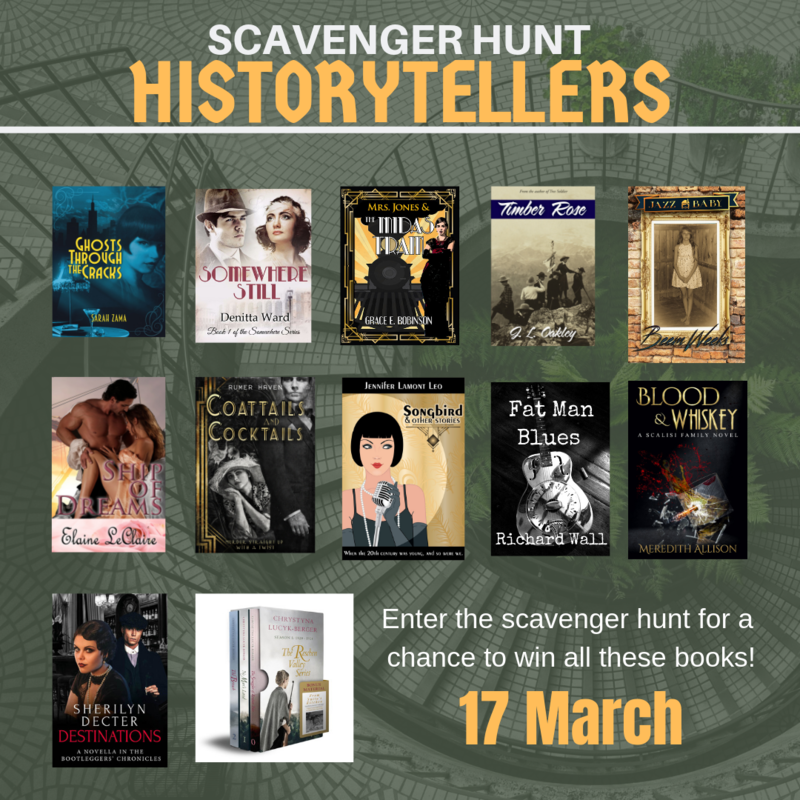 This entry was posted in authors, Books and tagged historical fiction, HistoryTellers Scavenger Hunt, scavenger hunt on March 13, 2019 by beemweeks. Sounds like a fun time, Beem!! Looking forward to it.